Walt Disney World is one of the most sought after and romantic honeymoon destinations not only for its location, but the many resort offerings. With themed restaurants and hotels, couples are sure to find a place to stay that is both relaxing and memorable. 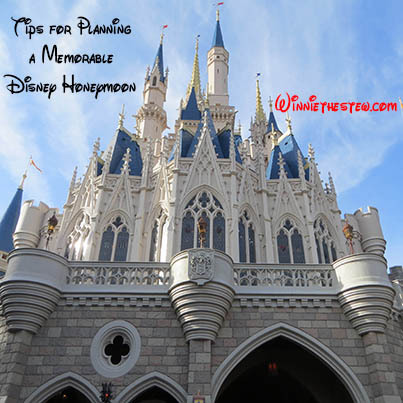 Prior to booking your Disney honeymoon, make sure to take the time to plan out both your budget and discuss your expectations for the trip to decide how you will allot your money and where you will spend your time. Create a honeymoon budget. Be realistic and decide how much you want to spend on your room, entertainment (including park tickets), food and travel. 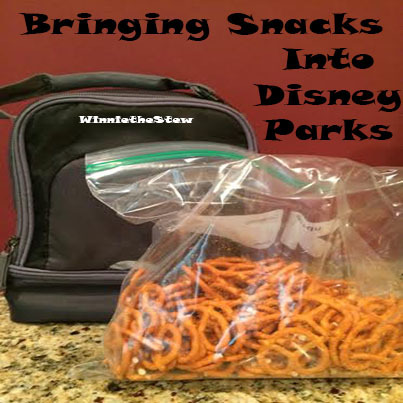 Disney vacations can be quite costly, so knowing your budget will ensure you are getting the best value and you will avoid the dreaded overspend. Once you have created your budget, then comes the fun part…deciding where to stay. Prior to contacting Disney’s Reservation line or booking your vacation online, do some test planning through Disney’s online reservation site. Put in your requested dates and decide on hotels that fit closely within your budget. If you contact Disney prior to having a basic game plan for your stay, the cast member may hear the word “honeymoon” and start offering rooms that are not only pricey, but wayyyyy too large for a party of two. When planning my honeymoon a few years back I called the Disney Reservation Line and after the cast member heard the word “honeymoon” the first hotel option I was given was a town-home style suite at Disney’s Beach Club that would cost us over $4000 for the week. Ouch! The place was enormous and more suited for a family or royalty so I knew going forward to plan a head and have a basic understanding of the price range and hotel theme we would consider. For honeymooners, I would suggest avoiding the value resorts if possible. These hotels are themed out for families and young kids and offer nothing in the way of romance. There are several resorts in the moderate cost range that are more adult friendly and quieter than the value resorts. For moderate hotel honeymoons, I suggest Port Orleans French Quarter or Riverside and Coronado Springs. All of the Deluxe resorts offer accommodations that are excellent for a honeymoon week with a variety of themes and amenities. My favorites are the Grand Floridian, Polynesian, Wilderness Lodge, Beach Club and Animal Kingdom Lodge. The Swan and Dolphin resorts are reasonably priced hotels located on the WDW property; however are not owned by the Disney Company. They are generally frequented by convention-goers and have a more corporate feel. You won’t find over the top Disney themed decor, however the resorts do have access to transportation and some even boast excellent views of the fireworks at Epcot. Disney permits guests to book their Advance Dining Reservations 180 days prior to your arrival. Decide where you would like to dine by using Disney’s dining search tool and keep in mind which parks you will be visiting each day. California Grill at Disney’s Contemporary Resort. Ask for the Wishes seating so you can have dinner and enjoy the Magic Kingdom fireworks from the hotel’s observation deck. We recently enjoyed an anniversary here and were completely impressed with the service and attention to detail. They even gave us a few special surprises to make our event even more magical. Narcoossee’s at the Grand Floridian Resort. This waterfront gem serves seafood and has an exceptional view of the Seven Seas Lagoon. Consider booking your reservation later in the evening to enjoy both the Wishes Fireworks and the Electrical Water Pageant. For those who want to splurge a lot and have a one of a kind dining experience, Victoria and Albert’s at the Grand Floridian is the most intimate restaurant on site. With a strict dress code and limited seating, the location is the perfect setting for an evening out for two. The Flying Fish Cafe at the Boardwalk Resort serves seafood and offers some interesting seashore inspired desserts. Have dinner at the restaurant, then take a stroll on the Boardwalk and enjoy the sights. Tokyo Dining at Epcot has quite possibly the best view within the park. Book your dinner close to IllumiNations Reflections of Earth and enjoy the fireworks spectacular from one of the large windows of the establishment. Because there is so much to do within the Walt Disney World Resort, guests have the tendency to plan out their stay and go… go… go… the entire time. Not only is this exhausting, but it doesn’t allow for honeymooners to relax and enjoy their stay. Keep your days simple. Think of a few rides and experiences that you want to enjoy each day, and then plan for some downtime whether that be your meals, pool time at your hotel or even just a few minutes sitting on a bench within one of the parks and chatting. Trust me, the last thing you want to do is to run around a park all day and then be so exhausted that you don’t enjoy your dinner or the fireworks. Consider the other happenings at the resort. The WDW resort has some neat activities outside of the parks that are fun for couples hoping to make lasting memories. Sure some of them cost extra, but just think about the stories that you can tell when your vacation ends. Enjoy a high flying adventure on the Characters in Flight balloon in Downtown Disney. Soar hundreds of feet in the air and look at the resort below. For an extra special touch, think about taking your flight during the fireworks to watch them like you never have before. Go golfing. 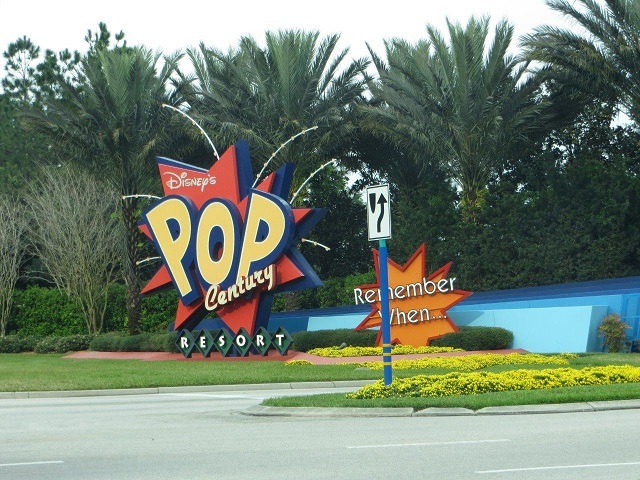 Disney has two mini golf courses on the property; Fantasia Gardens, themed out with the characters from that beloved film and Winter Summerland, a Christmas themed golf experience with a Summer course and a Winter course. Play a round of golf or two…take lots of photos and enjoy the friendly competition. Take a spin. Canoes, mini motorboats and sailboats can be rented for a fee from various locations throughout the resort. Take a spin on the lagoon and take in the views of the sprawling landscape. Stroll around and explore the resort. One of my favorite memories from our honeymoon was walking from Disney’s Hollywood Studios to our resort after park closing. We avoided the rush at the buses and boats and just casually walked the paths and reveled in the quiet time. We ended up at the Boardwalk…played some carnival games…grabbed a funnel cake and sat on a bench for a while. There are many fun little pathways and trails and are best enjoyed in the evening hours when the temperatures have dropped. Let’s go to the movies! The Downtown Disney AMC 24 is a Dine-In theatre experience that offers guests the option of having a meal while they watch a film. Enjoy a sandwich or pizza and a beer as your watch a blockbuster movie in a comfy theatre setting. After your movie, explore the shops of Downtown Disney. It is the perfect place to handle all of your souvenir shopping! Why don’t you take a picture…it will last longer. You will want lots and I mean LOTS of photographs to remember your honeymoon. Disney’s PhotoPass Photographers can be found throughout the parks and sometimes are located in the hotels. Plan out where you would like your photos and think about getting at least one photo in front of a major location at each park. The musts are Cinderella’s Castle, Spaceship Earth at Epcot, The Tree of Life at Animal Kingdom and the Sorcerer’s Hat at Hollywood Studios. The PhotoPass site has some handy maps with locations of photographers so you can better plan your day. Think about some fun photo ops…get creative and you can even bring along small props to make it more fun! The best advice that I can give you regarding honeymoon planning is to just be realistic with your time. Plan exciting entertainment options that you will both remember. Remember that sometimes what seems to be the simplest of moments can really be what is most memorable about your trip. Wishing you a magical honeymoon! It’s that time of the year…romance is in the air! The Magic Kingdom park is brimming with exciting date night activities for you and your special someone. If you are considering going to Disney for Valentine’s Day, your anniversary or honeymoon, make sure to plan some special moments to ensure a date night that you will not soon forget. 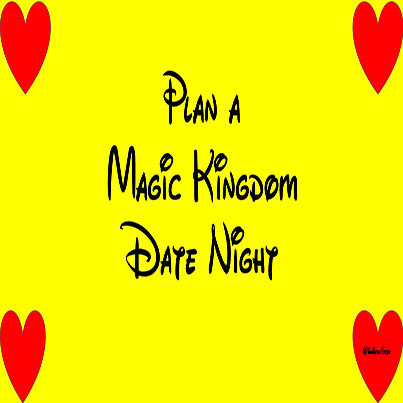 Here are a few of my tips for a memorable Magic Kingdom date. Walk Down Main Street U.S.A.
Take some time to discover the shops on Main Street U.S.A.
Be silly and try on some hats, find some souvenirs for your loved ones…maybe a keepsake for your own collection. The products that each store carries varies and includes collectables, hats, Christmas ornaments, baked goods, jewelry and t-shirts. Have a blast and make sure to get your photo taken on while on Main Street with the castle in the background! Soar high in the sky like Aladdin and Princess Jasmine over the bazaar in Frontierland on the Magic Carpets of Aladdin ride. For a truly remarkable experience, plan your ride during the Wishes Fireworks display… or if you want to really impress your sweetie… ride after dark and quietly play, “A Whole New World” on your iPod or phone as you fly! The Pirates of the Caribbean and Haunted Mansion are both eerie rides that are perfect for snuggling or holding hands. Pirates also has a neat gift shop at the end that is fun for some interactive window shopping. I can’t help myself when there are pirate hats around…I have to try them on! Remember to keep that camera handy for some great candid shots! 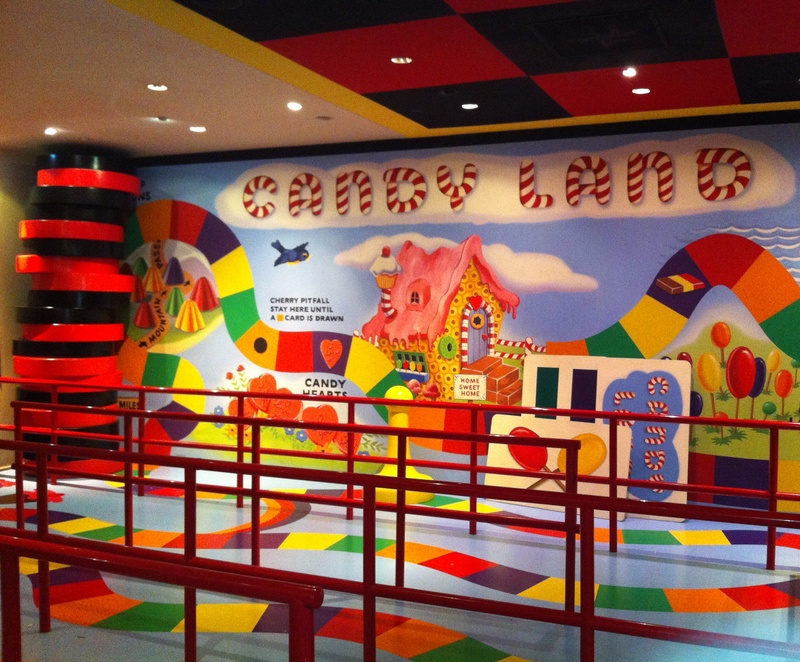 This site is very easy to skip with so many other incredible attractions in the Magic Kingdom. It is however, a great escape from the bustle of the park. Take a motorized raft over to the island and spend some time exploring! From caves to a fort…even an underground escape tunnel… the island is the perfect place to stroll, chat…or sit for a few minutes to catch up. Check out the Frontierland Shootin’ Arcade or the Tomorrowland Arcade. Try to beat one another’s scores or jump into the photo booth at the Tomorrowland Arcade for some funny pics to take home! Both arcades require additional cash to play. 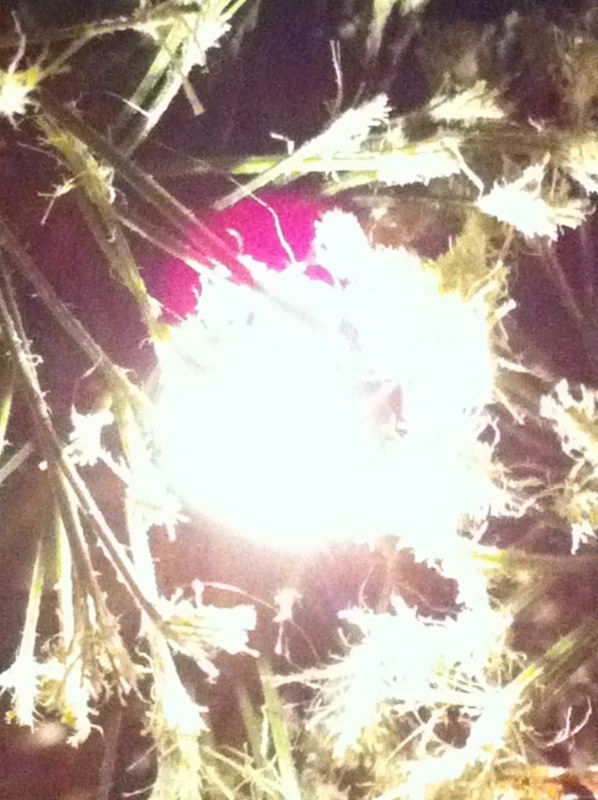 Wishes is the spectacular of fireworks that occurs nightly at the park. The best places to view the fireworks are either in front of the castle or on one of the bridges in Tomorrowland. Buy a popcorn or sweet treat to share while you are enjoying the light display with your Valentine. Make sure to end your evening with another photo to commemorate your special day….and pick up a Mickey balloon on the way out of the park. Wishing you a magical Valentine’s Day! Disney is all fun; however there may be days that you just need to get away from the non-stop excitement. I usually try to plan meals for times when I know we will need a break, but there are moments that even the restaurants can be over-crowded and loud. Sometimes the best way to unwind and settle down is to step away from the magic and head back to the hotel. Dinner time– Plan to go back to your hotel in time for dinner. If you have the Disney Dining Plan, use your Quick Service dining credits for a meal at your hotel. You can even grab your dinner selections and take them back to your hotel room to eat picnic style or on your balcony if your room has one. Room service is another dining option…but this can be costly since it requires two Disney Dining credits. Ouch! In my opinion, room service is not worth spending two Table-service dining credits. Entertainment- Bring a long some travel games that pack well like Go-Fish, Memory or Pictionary. You can also plan a simple craft or watch a Disney film on your laptop/tablet. Some hotels offer nightly activities that may include campfires, storytelling and family movie nights. Check with your hotel’s concierge upon check-in. Many rooms afford excellent views of the parks’ fireworks. You can use your snack credits to purchase some sweet treats to bring back to your room and host your own Dessert and Fireworks viewing party. Relax- Stop by the pool for a leisurely evening swim. Stroll the beautifully manicured grounds of your hotel resort. Visit one of Disney’s several spa locations and enjoy a massage or pedicure. Or, take advantage of your night in and get some much needed zzzzz’s so you can wake up refreshed for another Disney day! 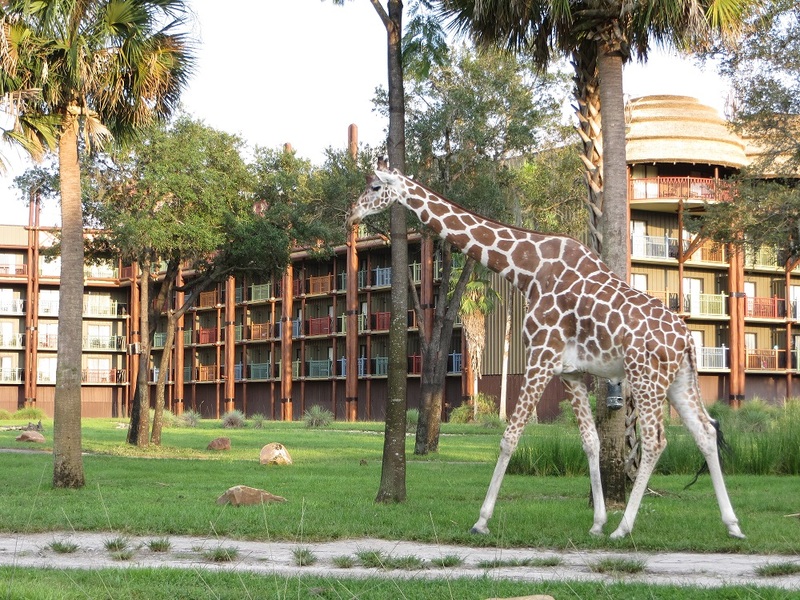 Do you plan in-room getaways for your Disney vacations? Do you have any tips? Summer just started, so why am I talking about the holidays? When the weather is warm, it is sometimes difficult to think about the cooler winter months; however it is the perfect time to start planning a holiday trip to Walt Disney World Resort and getting those Advance Dining Reservations scheduled. If you have ever been to Epcot during the holidays, you know that the Candlelight Processional is a holiday event not to be missed. You also know that the line to get into the event is generally long, which can result in very lengthy wait times. Even after waiting in the line, you still may not secure a seat for the performance. Thankfully, Disney offers a Candlelight Processional Dinner Package that can be added to your dining experience and guarantees preferred seating at a performance and an exclusive viewing location for IllumiNations: A Reflection of Earth. The Candlelight Processional is held nightly at 5:00, 6:45 and 8:15 PM in Epcot at the America Gardens Theatre. This year’s event will begin on November 29th and run through December 30th. The Candlelight Processional features a 50-piece orchestra and mass choir accompanying a celebrity narrator who reads the story of the Nativity. The celebrity narrators were announced this morning when the packages became available for purchase. The cost for the Candlelight Processional package varies and will include either a three course meal or a buffet; depending on the restaurant you have selected. The cost of admission to Epcot is not included in the package. Please call 1-407-WDW-DINE for additional details and to make your reservations. Due to the popularity of this experience, it is recommended that you make your reservations as soon as possible. Is the Candlelight Processional part of your holiday tradition? Please share your special memories and any tips you may have about viewing this performance. I never thought that the phrase, “A rat stood on our table during our meal,” would ever cross my lips, but after our experience at Chefs de France, I couldn’t stop talking about their resident rodent chef! Chefs de France can be found in the World Showcase at Epcot and is modeled after a bustling French bistro. While the menu changes with the season, the offerings are diverse and the dinner selections include French onion soup, roast chicken and beef tenderloin. Lunch selections offer soups, sandwiches, salads, ribs and hamburgers. The wine list is quite impressive and guests can order by the glass or bottle. Make sure to leave room for dessert; the crème brûlée is magnifique! 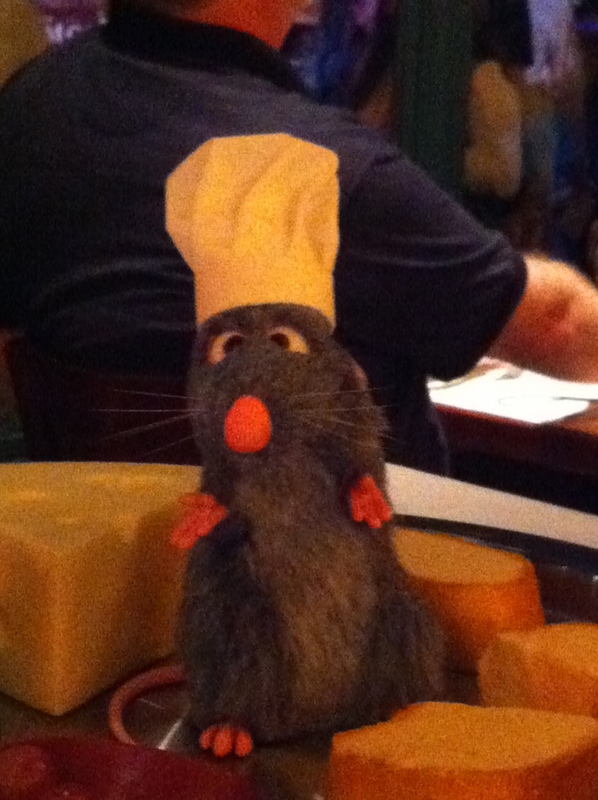 The pinnacle of the dining experience is a visit from the “chef” himself; Remy from the film, “Ratatouille”. Chef Remy visits and interacts with guests from a platter that serves as his stage. A cast member glides Remy along, interacts with him and encourages dialogue from diners. It is a fun experience for kids and grown ups alike! While we were taking pictures of our time with Remy, he happily posed and uttered a “cheese!” I am not sure if I ever smiled so much in my entire life. One Disney Dining Plan entitlement is required for both lunch and dinner, and the only plan not accepted is the Disney Quick Service Dining Plan. When making your Advance Dining Reservations, be sure to ask for a seating that will ensure a character experience with Remy. These experiences take place 4 times a day, 6 days per week; but are subject to change. Call Disney Reservations at (407) WDW-DINE for additional details, or to make your reservations. Disney is thought of as a family destination, but it can also be the most romantic place on Earth! Throughout the parks and properties are restaurants, experiences and locations that are couple-friendly and ideal for an evening for two. Disney’s BoardWalk Inn Resort is one of the best date night locations throughout the Walt Disney World Resort. Styled after the Atlantic City boardwalk of yesteryear, the resort boasts fantastic dining options, scenic views and adult-only entertainment options. The Flying Fish Café is a contemporary and modern restaurant with incredible cocktail options and an extensive menu. The menu includes steak, pork, pasta and several seafood dishes. For dessert, the PB&J Crème Brule is a favorite as well as the Trio of Boardwalk Concession Treats that makes for a great selection to share! Jellyrolls is a piano bar for guests over the age of 21 that offers great music and cocktails. The musicians take requests (my favorite is the “Ducktales” theme song) and sing-a-longs are encouraged. There is a cover charge associated with admission and further details including group reservations can be obtained by calling Jellyrolls at 407-560-8770. Wanna’ Dance? Then the Atlantic Dance Hall is the place for you and your special someone. DJs play songs from the 80’s to current hits while you spend your evening on the dance floor. Check Disney’s website for announcements and theme nights prior to your visit. The BoardWalk features some carnival style games that encourage friendly competition. Play a few and win some fun prizes to take home that remind you of your date night. Grab a funnel cake on the BoardWalk and head over to the bridge between the BoardWalk and Walt Disney World’s Swan and Dolphin resorts. Here, you will get a view of the Illuminations fireworks at Epcot starting at 9PM. You probably will not be able to hear the music from the show; however what could be more romantic than a terrific view and sharing some sweets with your sweetheart? Whatever you choose to do during your time at the BoardWalk, you are sure to have a magical evening! Do you have any BoardWalk fun tips? Is there a special game or activity that you look forward to during each visit to the BoardWalk?